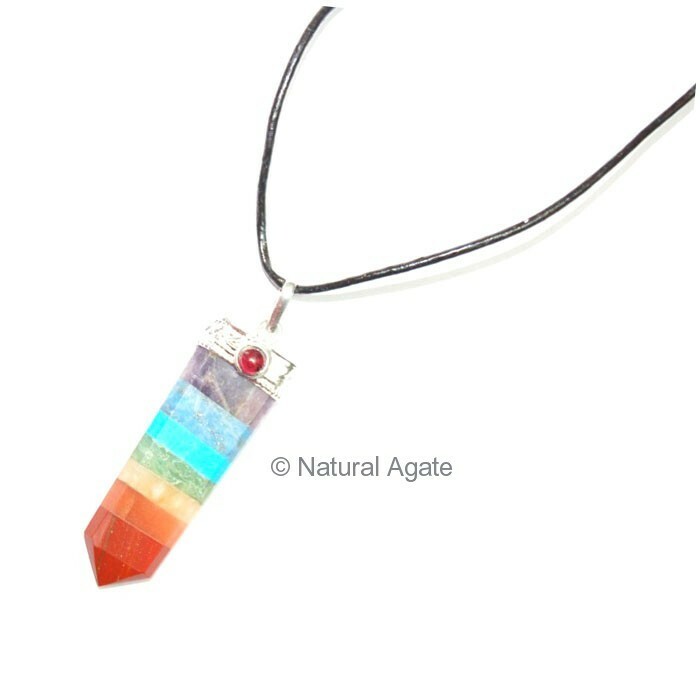 Chakra Flat Pencil Pendant has a silver cap and garnet embedded. The chakra stones are aligned as per their corresponding chakra sequence in the body. It weighs 20-40gm.